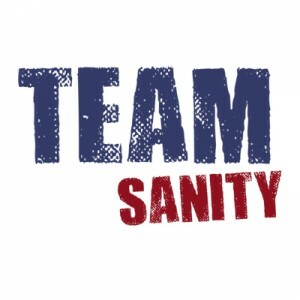 Today I’m participating in a synchroblog calling for sanity among Christians in the discussion of faith and homosexuality. This called-for sanity would cover all aspects of the topic: Is homosexuality sin? If so, why? If not, why? Should gay marriage be legal? Should churches ordain gay ministers? And any other question you can think of. Click here to read some of the other entries in the synchroblog. There must be a way for Christians of varying viewpoints to discuss this stuff without getting all cray-cray. Let me suggest one simple but often painful thing we could all do. 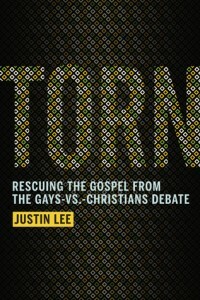 Speaking of sane approaches, I’d like to plead with you that you buy a copy of “Torn: Rescuing the Gospel from the Gays vs. Christians Debate” by Justin Lee. It’s the most reasonable approach to the whole issue that I’ve ever read, and it’s in stores and available online today in hardcover and ebook formats. It won’t take you long to read it, and I think you’ll get something good from it, regardless where you fall on the issue of faith and homosexuality. Please, please, please: read it. Done and done! Ok, just the buying part is done, not the reading part. Very excited to come home to Justin’s book on my Kindle. Looking forward to his insights. Awesome post! That is my goal – to always be willing to admit, humbly, that I might be wrong! It’s not always easy… but when we all do it, we might really be able to have saner conversations.